In August 2011 six students at Tribhuwan University, Kathmandu, met for prayer and Bible teaching with their lecturer Uma Kanta Sharma. From such small beginnings the Lord has so blessed Nepal Campus Church that today their church family numbers over 100, with an outreach ministry to children, students and those who continue to be affected by the massive 2015 earthquake. Uma Kanta Sharma, originally from a high-caste Hindu background, was effectively disowned by his family when he became a Christian. He experienced persecution in his workplace and the community. The Lord blessed him with a scholarship to receive theological and pastoral training in the UK after which, although some suggested he might seek to remain in the UK, he returned to share the gospel in the university and colleges in the Kathmandu valley. Since this fellowship of believers started at the university they named it Nepal Campus Church. Responding to needs around them they began reaching out to local families with a pre-school and day care centre. In the massive earth quakes in April and May 2015 nearly 10,000 people lost their lives and more than 20,000 were injured. More than 600 schools and 200,000 houses were damaged. With few resources available to them the church distributed small relief packages (rice, tents and a little money to buy medicine and water). They were also involved in rescue teams. Now they have the opportunity to serve families in great need through the day care centre, currently providing for 40 children, whilst sharing the gospel with their parents. Ten months ago Pastor Kanta Sharma met two third-year students at their college. He was able to share the gospel with them and they began attending Campus Church. Last December, during a whole night of prayer, God spoke in their hearts and they accepted the Lord Jesus as their Saviour. 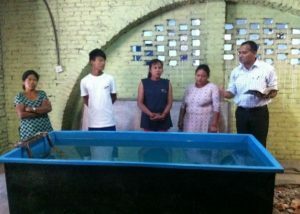 Then in February they were baptised, along with another two students. In August as the church celebrated its fifth anniversary, three sisters and their brother were baptised. Among 142 people in the service were 38 who had never been to church. Before the evening service the JESUS movie in the Nepali language was shown to many who had never heard the story of our Lord. Let us rejoice with these believers in Kathmandu, thank the Lord that He has blessed this work, and pray especially for those who have recently become Christians and been baptised. Their desire is to purchase land and build an earth-quake-proof church building within the next year – humanly speaking an almost impossible task for a small church where most are (financially) very poor. 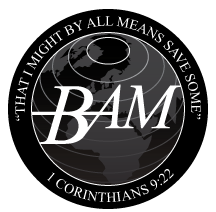 These believers have a big vision for the Lord’s work in Nepal and BAM is currently seeking how best we might support them. If you have been inspired by this glimpse into the growth of Nepal Campus Church please consider making a gift to BAM specifically to help in the purchase of land.